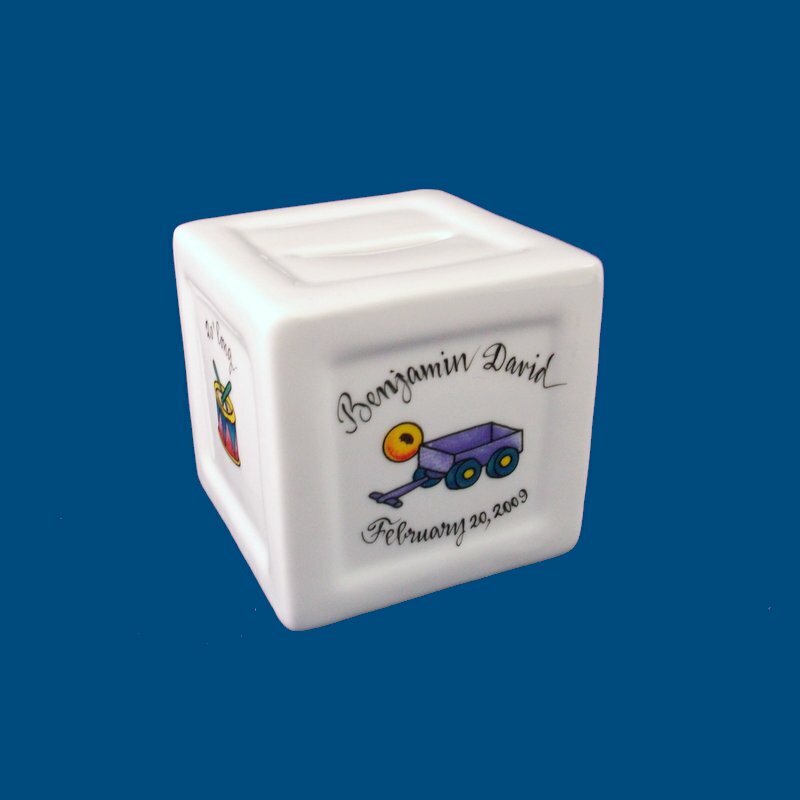 Our square shaped personalized porcelain coin bank is a unique baby gift or birthday gift. 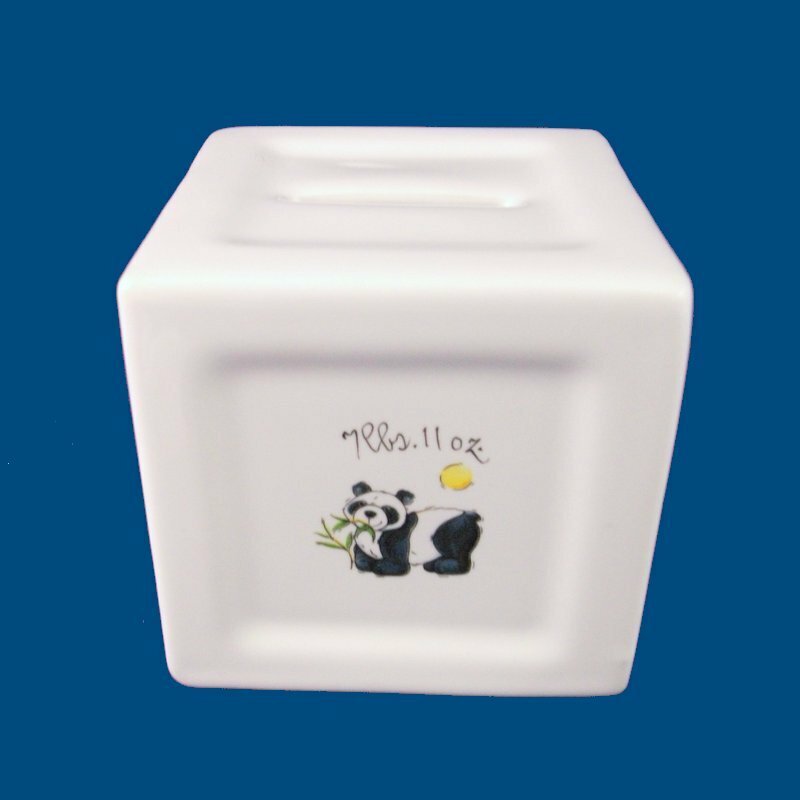 All four sides of the coin bank are decorated with your choice of design. 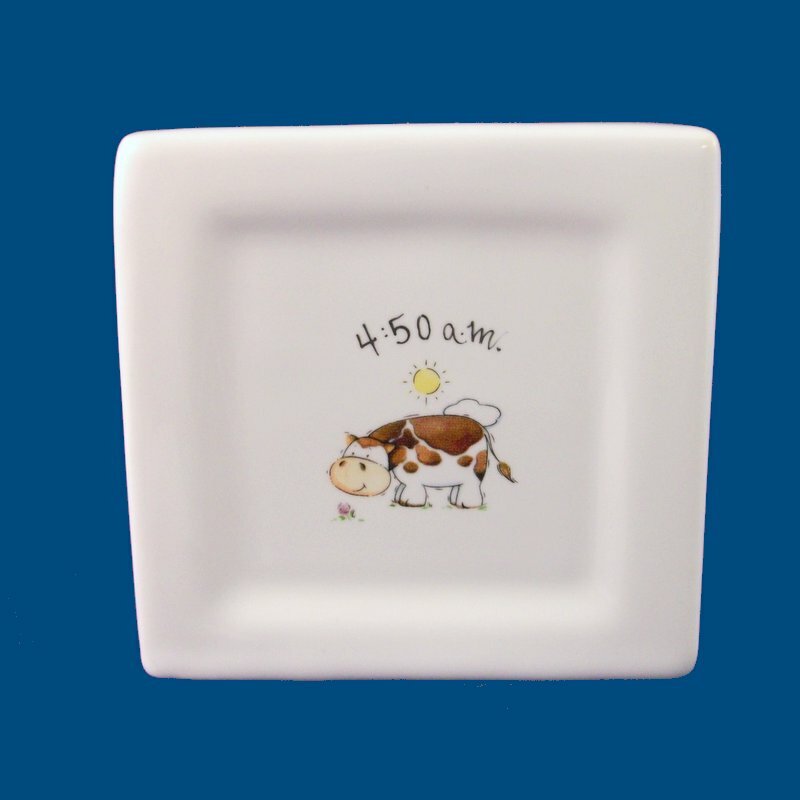 We can either hand paint a name and date for a special birthday or as a new baby gift, we can personalize the bank with the baby's first and middle name, date of birth, time, weight and length. 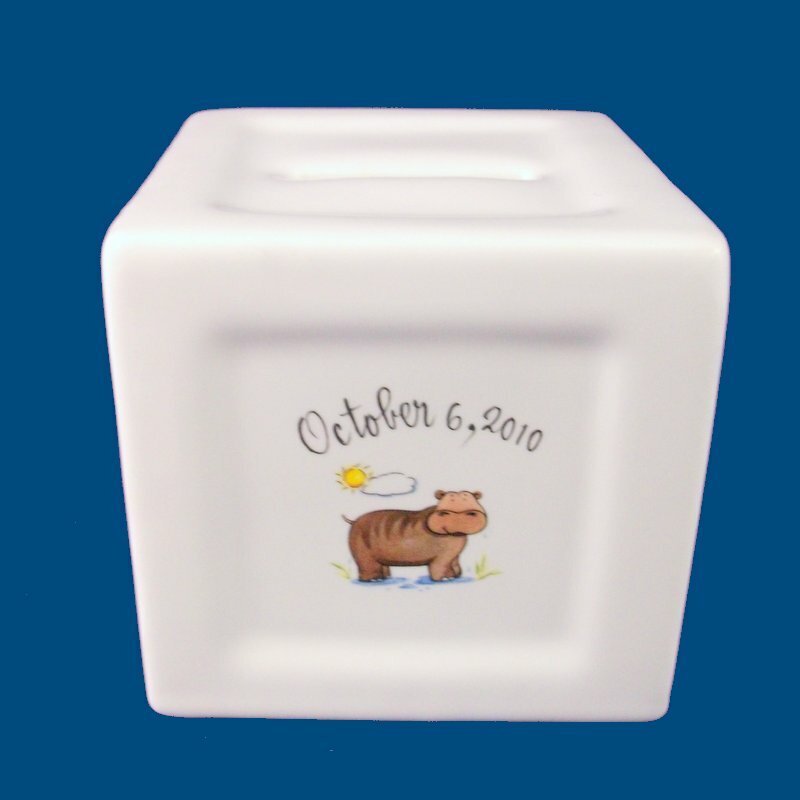 A short personal message is written on the bottom of the personalized bank. 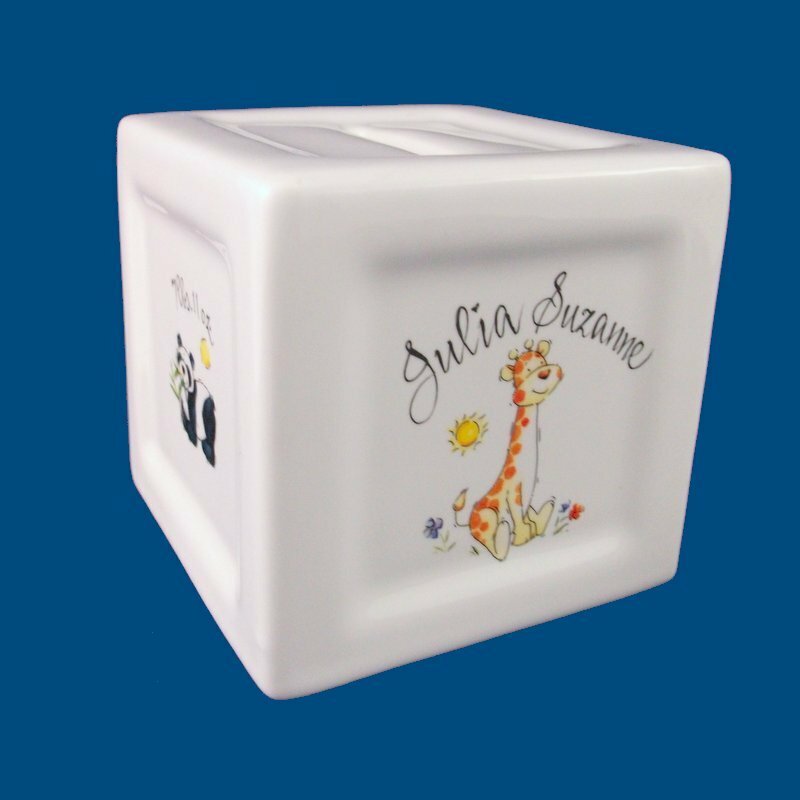 A gift box with tulle ribbon and enclosure card is complimentary with your purchase.